At some unknown point in time, The Great Disruption fractured the world, sending different areas into different time periods. In the hundred years since, explorers have traveled the globe, trying to map the new world and make sense of this new reality. This story brings us to the New Occident, which roughly corresponds (geographically) to the original thirteen American colonies, in 1891. The government is run in a parliamentary system, where the right to speak can be purchased by the second. Our protagonist, Sophia Tims, comes from a long, distinguished line of explorers and mapmakers. Her uncle, Shadrack, is the preeminent cartologer in the world. When he is kidnapped, Sophia finds herself torn from her comfortable life in Boston as she sets off to rescue her uncle, travelling across countries and across times. But her uncle’s kidnappers are after something legendary, a map that can change the face–and fate–of the world. This was, simply put, a fantastic YA adventure. It’s one of those stories at crosses age boundaries and can be enjoyed by just about anyone. Sophia is a great character, one who is able to grow and evolve as her world changes around her. Grove also provides us with a number of wonderful supporting characters and villains to flesh out the story. Importantly, the world these characters inhabit feels fully formed. The concept of different continents existing in different times is very fun, and Grove makes it work, to ing us insight into the relations between times, their politics, and their religions. 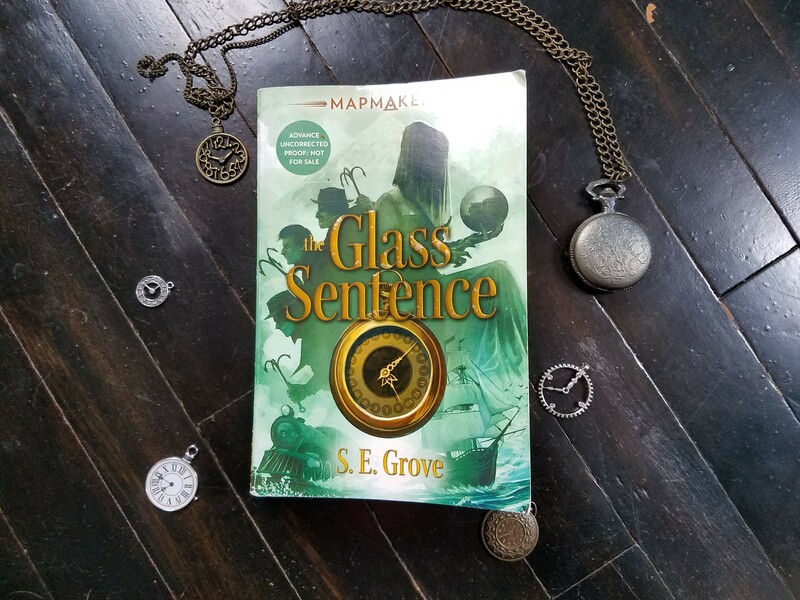 The Glass Sentence is an adventure story along the lines of The Golden Compass. Anyone looking for a new YA series to try should add this book to their TBR. This is the first book in the Peter Grant series. I was recommended this series by a friend of mine, who knew I’d been meaning to start The Dresden Files series by Jim Butcher. Note to self: book shopping after talking with friends during a long night at the bar can be dangerous. Peter Grant is a fresh new constable with the London Metropolitan Police. He seems to be your average constable destined for average desk work until one night, while guarding a crime scene, he has a chat with a ghost. This odd ability brings him to the attention of one Chief Inspector Nightingale, and Grant suddenly finds himself swept into a world where magic is real and very, very dangerous. I really enjoyed this book. I still haven’t read The Dresden Files (my bookworm friends will understand the unstable sand that is a TBR list), but from what I know of the series, this is built in the same vein. As always, first books always have the awkward getting-to-know-you-and-the-worldscape stage, but Aaronovitch manages to get through that with a minimum of sacrifice for pacing. There is a good amount of action, and quite a few scenes that were genuinely creepy. Add that to the fact that the book is so firmly set in London that you can follow the action on Google Earth (I absolutely did this), and this is vastly entertaining, incredibly realistic fantasy read. Fans of Jim Butcher, Kevin Hearne, and other urban fantasy series should absolutely check this out. The best part is, since I’m coming onto this series late, I can binge! Spoiler Alert: This is the second book in the Kingdom of Fire Series (you can read my review of the first book, A Shadow Bright and Burning, here). There are definitely going to be spoilers for the first book in this review. So after defeating Korozoth, The Shadow and Fog, Henrietta Howell finds herself more or less (increasingly less) accepted by the sorcerer community. The ward that protected London is gone, Rook is slowly turning into a monster, she’s still of magician stock, she’s not the chosen one, the remaining Ancient Ones continue to devastate the country, and oh yeah, R’hlem the Skinned Man is demanding she be turned over to him. And engraving that demand in the flesh and bones of her countrymen. So, things are not exactly going smoothly. When Henrietta’s research uncovers a possible way to defeat the Ancient Ones, her fellow sorcerers are hesitant to jump, as it seems magician magic is needed to defeat the monsters. Henrietta must risk herself, her friends, and her country to uncover the secrets of the Ancient Ones and stop their reign of terror. I really enjoyed the first book on this series. Cluess’ intelligent use of sexism and classism to construct her magical world was cannily done. Her use of lovecraftian imagery against a Jane Eyre background was excellent, and provided some truly creepy imagery. Poison does neglect the sharp societal insight of the first book, and the shadow-haunted visuals of the previous story are toned down a bit here. The first was atmospheric and gothic, this book lends itself more to adventure. Less a Jane Eyre and more a Jane Austen. That is not to say that I didn’t like the book. Cluess keeps the plot running at a frenetic pace (I finished the book in a single day). She also has provided her main characters room to grow and mature. Henrietta herself is a fantastic heroine, flawed and idealistic, traumatized and striving. 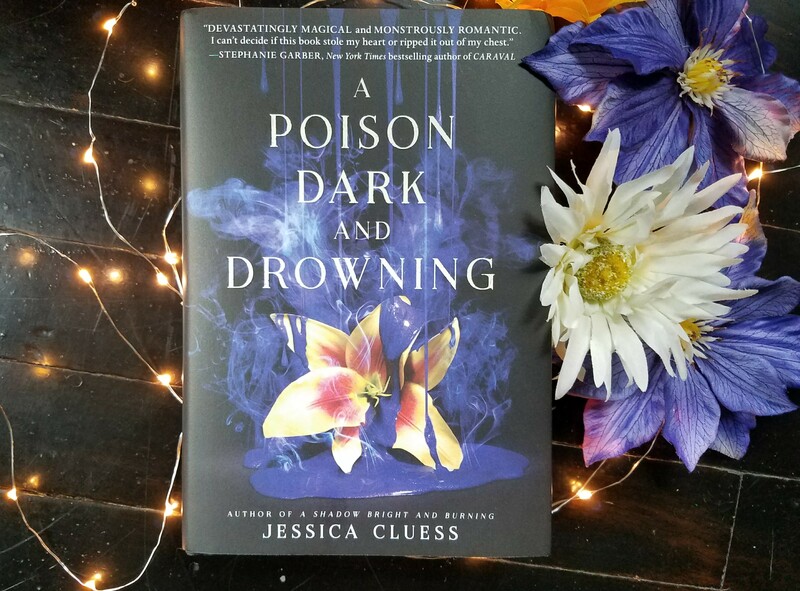 It is easy for characters like this to become so involved in navel gazing that the reader loses interest, but Cluess manages to keep Henrietta in our hearts. The requisite love triangle is still there (grumble, grumble, grumble), but the dynamics change throughout the book. In the interest of maintaining a spoiler-free review, I won’t go into detail. Suffice it to say that no one comes out smelling like a rose. So, if you enjoyed the first book, you’re likely going to enjoy this one as well. Anyone seeking an intelligent YA fantasy series should certainly add this one to their TBR list (but definitely start with the first one). Evelyn is bored. Bored with dresses and balls, bored with her mother’s constant matchmaking schemes, bored with the petty gentlemen she is forced to be pleasant to. And so begins just about every Victorian-era book, no matter the genre. This one does branch out a bit more: Evelyn’s sister Rose disappears, and her trail follows a mysterious (and huge) Frenchman into London. With her parents concerned more for their reputation than Rose’s safety, Evelyn runs off to find Rose herself. Enlisting the help of dashing Mr. Kent, Evelyn is also forced to work with the infuriating Mr. Braddock, who has a game changing revelation for her: she and her sister may have special powers. I’m not one of those people who automatically dismiss YA books as beneath my notice. There’s some fantastic work out there and some great stories being told. However, this is one of those genres where it is all too easy to fall into a formulaic trap. Like many recent psychological thrillers have been diminished by trying too hard to be the next Gone Girl, a lot of YA (especially the fantasy genre, which tends to be one of my favorites) suffers by trying to be the next Twilight or Hunger Games. Stop me if you’ve heard this one: A young, headstrong girl is dissatisfied with her life, but unsure what she wants to do to improve it. After a calamitous event, she is forced to engage a wider, crueler world at its own level, discovering herself in the process. Oh, and you naturally need two potential romantic interests for her, one is “safe,” and has been around forever, the other someone she will never ever like, someone just so infuriating. . . It sometimes seems like the same song set to different music. 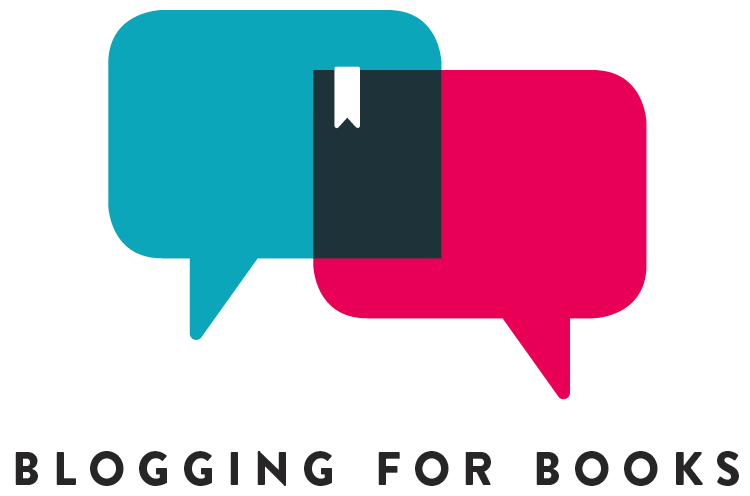 That’s not to say that books that follow the formula are all bad, but you need great characters, strong writing, and something special to set your story apart. 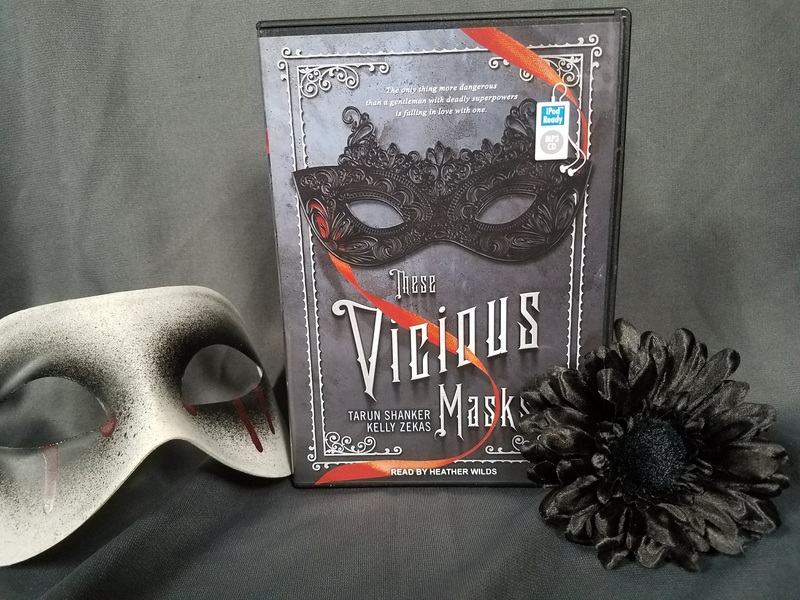 Unfortunately, These Vicious Masks falls a bit short. Evelyn is intelligent and willing to defy convention if she can help others, but never becomes a truly sympathetic character. The love triangle is of the dimensions expected from the genre, and doesn’t deviate from the pattern. Still, YA fantasy enthusiasts may want to give the book a go. I’ve always said that I am picky about the genre. An audio book was provided by the publisher in exchange for an honest review. Fair warning: this is the second book in the Winternight trilogy. There’s definitely going to be spoilers ahead for the first book in the series, The Bear and the Nightingale. If you want, you can read my review of that book here. Vasya has been driven from her village after the deaths of her father and stepmother. The options are slim for a young woman in medieval Russia — convent or marriage. Vasya, ever seeking to be her own master, decides to create a third option: to wander the vast expanses of Rus’ disguised as a boy, and explore the wide world now open to her. But the road and the places upon it are dangerous. Unnatural and vicious bandits are plundering remote towns in northern Rus’, and political intrigue and betrayal surround the residents of Moscow. Pulled into the events of the larger world, Vasya finds herself walking on a knife’s edge to help her family and her country, and to safeguard her precious freedom. I simply adore this series. The Bear and the Nightingale was one of those delightful little surprises you come across occasionally. 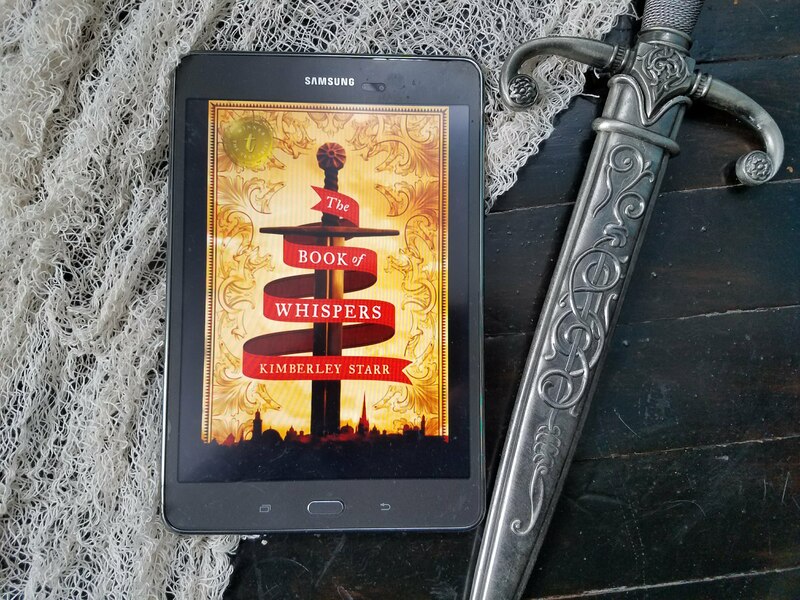 Expecting a typical historical fantasy, I found myself enveloped in a fairy tale story richly woven through with historical detail and living, breathing characters. The Girl in the Tower stays true to form. Arden’s careful attention to detail, and phenomenal gift for bringing fully-fleshed characters to her tales are undiminished in the second book. Vasya has become a bit older and harder than last we saw her, but still retains her close ties with the many spirits who inhabit her world. Her choices and their consequences are rarely easy, and we get to see her grow and change as the plot moves along. Her relationship with Morozko, the winter demon is well done. No sappy love story here, but a subtler, bittersweet rapport that feels much more real. If you enjoyed The Bear and the Nightingale, then you’ll most likely love the continuation to the story. Fans of fantasy, fairy tales, and magic should definitely check out this phenomenal and original series.